Jakarta - The need for the growth of big data confirmed the mounting has forced many businesses to adapt its infrastructure. The easiest option is to perform scale-out data center is used, but the costs involved would certainly high. Alternatively, glancing business cloud computing technology. Especially now that has a lot of service providers `cloud` which offers a myriad of options, simply adjust the requirements. But so far, to do cloud management platform generally users are forced to use management console that is limited to a cloud service provider has to offer.Typically, the perpetrator will combine IT with a closed platform made use of infrastructure vendors. The advantage, users can easily perform consultations related problems that may occur in its operation. But the drawback, many users can not customize the platform that is used needs to remember are closed. But Red Hat is known as a provider of open source solutions have thought differently. According to him, the concept of open source technology can also be implemented in the cloud. Red Hat hopes users are no longer constrained by a closed platform and can customize it wants as needed through an open platform system. Called open hybrid cloud, Red Hat attempted to demonstrate that the hybrid cloud adaptation can also be performed using an open platform. The advantage was obvious, the user can freely develop a platform that suits your needs, while providing continuous improvisation related system requirements. 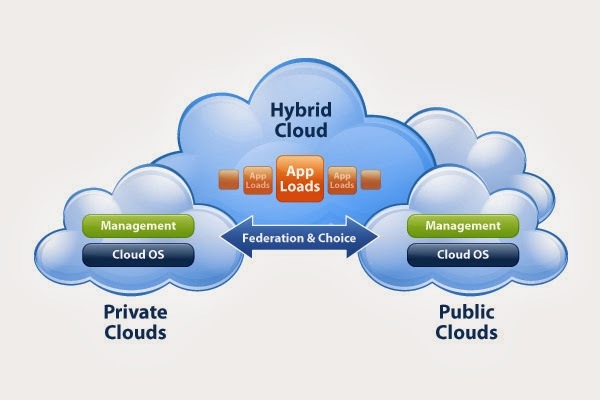 "Open the hybrid cloud is a concept of developing an open platform that allows users to develop their own cloud management platform as needed. Just like other open source-based system, the implementation of an open platform is certain to be able to reduce costs significantly, "said Damien Wong, GM RedHat ASEAN at Hotel Grand Hyatt, Jakarta, Thursday (10/10/2013). For information, current cloud technology is offered in two options namely private and public cloud. Not a company that also has combined both to reduce operating costs. "The advantage of using an open platform is the amount of support from the community, so there are any new issues or new improvisation, users can easily find out," said Gordon Haff, Cloud Evangelist RedHat Inc..
Security-related issues that often haunt the open source users, Wong said RedHat actually promote reliability in the security aspect. According to security issues can be more easily found the solution thanks to the open source community that has been solid. "There is such a closed platform where users do not know what might be behind it, could have been contained malware targeting users of data. At its open platform even more knowing what is in it for them as well indirectly participated in developing them, "Wong pointed out.